South City Mall is the largest Shopping Mall in Eastern India, which is over 6,00,000 sq. ft. And their food court serves a huge variety of food with a huge area to sit. 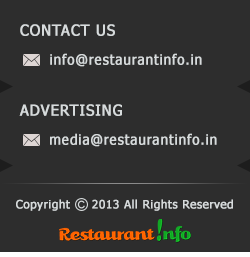 A big list of food counters and many famous restaurants given above to impress you. There are around 30 in total including Coffee Shops, Bakery, Ice Cream Parlors. A nice segmentation of cuisines named as State of Punjab, State of Bengal who serve good regional food along with many other counters like Republic of China or Kebab Company. Five Food Giants Mainland China, Benjarong, Flame n’ Grill, Zara, Sarson are there to serve their delicacies. A new feather has been added recently, Starbucks, the most popular Coffee venture in India has opened it’s first branch in Kolkata. The one thing I like about this place is whatever they offer their Visitors, they are best in it; For example they have Cafe Coffee Day who are the most popular coffee makers in town, Pizza Hut Delivery– They serve the most savoring pizza in town, KFC THE best Fried Chicken Makers in the World, Gelato / Cream n’ Fudge – Serves Awesome Ice Cream, Mainland China is much renowned for their Chinese delicacies. Being in the most posh areas of the town, Prince Anwar Shah Road,the standards are a bit high. A full plate of sizzlers cost Rs.380. Coming to the quantity, Republic of China although cooks good but the size of meal is really small like Rs.170 for noodles. Even the restaurants are selectively costlier but very classy. Like Mainland China costs around 1500 for two and Flame n’ Grill Also costs around 800-900 for two among them Benjarong is a bit cheaper and they also have Lunch and Dinner Buffet worth 400.